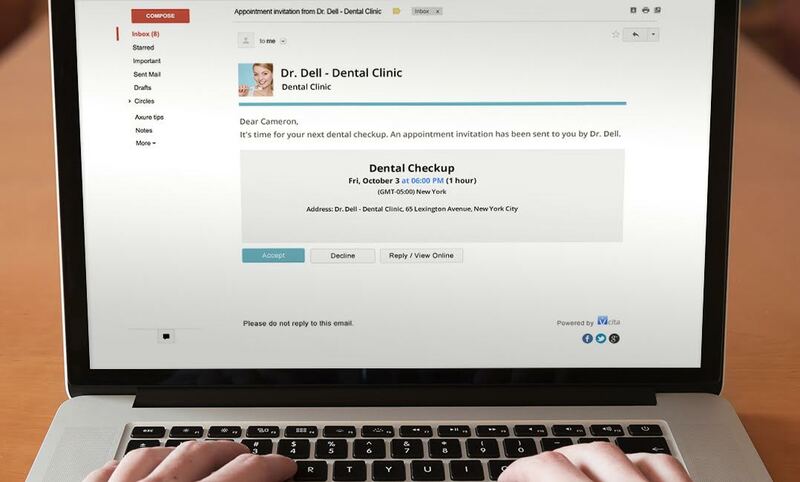 Imagine a world where you never have to spend another minute on scheduling appointments. No more phone calls sucking out your time. No more double-booking nightmares and scheduling mix-ups. Instead, picture a world where clients can book appointments with you 24/7, directly on your website, without having to call you once. Thanks to the online scheduling revolution, business owners worldwide turn this dream into reality. So, What Exactly is Online Scheduling? Online scheduling represents a simple, single-click tool that allows clients to book appointments directly on your website. If booking an appointment online sounds strange to you, think of the ease with which people shop online these days. Take Amazon, for example. With a single click, you can order anything from the latest Apple gadget to a five-gallon bucket of bubble gum and have it delivered to your doorstep in a matter of hours. And all of this can be done from the comfort of your living room while lounging around in your pj’s. Now, you’re not Amazon and you’re not expected to be. However, clients today have come to expect a new level of convenience from service providers. If we can order pizza, send flowers or purchase an entire new summer wardrobe online in a matter of seconds, why should we have to call or text our massage therapist, dog sitter, accountant or fitness coach to book an appointment? Letting clients self-schedule is a big leap for a small business and can open up a black box of anxieties. Those concerns are legitimate – introducing any kind of change to your business is scary, especially when you don’t know what to expect. Let’s take a moment to dive into some of the common myths about online scheduling to see whether or not they hold much water. Fact: An Online scheduling system actually bulletproofs your calendar and gives you full control of your schedule. When you’re using an online scheduling system, you become Master of your Time. You choose when you’d like to see clients and clients won’t be able to book appointments outside the core office hours you set. Each time a client requests an appointment with you, the system will send you a notification asking you to confirm, decline or suggest to reschedule. Our own online scheduling software, vCita, also has an app, so you can instantly accept bookings even when on-the-go. Another great thing is that online scheduling systems annihilate scheduling mix-ups – literally. Whether you currently schedule your own appointments or use an assistant, you’ve probably experienced any or all of the following: double booking, no sufficient preparation time between appointments, over or understaffing. All these become a thing of the past when using online scheduling. Any changes you make to your schedule will be instantly reflected in the system, giving you a full and accurate view of your schedule every beating second. Fact: Good customer service is all about giving your client the power to choose how & when they get in touch with you. Here’s some food for thought: for every client that wants to call you, there’s at least one client who feels calling you is a waste of their time and energy. Sure, you can still advertise your phone number and email address for clients who need a little hand-holding. But for the rest of your clients – present and future – offering online scheduling means you’re always available for them, regardless of what day or time it is. That’s why people respond so well to online scheduling: it frees them from the “tyranny” of your office hours and lets them schedule appointments in their own time, and on their own terms. Remember: your clients are busy people, too. Online scheduling systems are painless to set up but don’t let that simplicity fool you. The entire point of adding online scheduling to your website is allowing your visitors to easily book appointments by clicking a “Book Now” button or link. vCita takes this functionality one step further by offering a beautiful pop-up widget that greets your website visitors and prompts them to book your services. Clients talk about our “book now” pop-up widget as their “rain-maker”, with some businesses reporting a 30% increase in turning visitors into paying customers! The principle is simple: sometimes, all a visitor needs to become a client is a little nudge. The “book now” pop-up widget is the perfect motivator. Visible from every page on your site, our “book now” pop-up widget steals your visitors’ attention, gently pushing them into contacting you. It also reassures them that they’ve found just the service provider they were looking for: a professional who delivers superior customer service and can quickly respond to their needs. We’ve all been there before: Waiting for a client to show up, frantically calling them to try and figure out where the heck they are. And then there’s that inevitable sense of frustration and anger when they go ghost on you. Ouch. We understand that your clients and customers are crazy busy, which is exactly why email and SMS appointment reminders are total game-changers for our scheduling tool. Imagine this scenario: every time a client books a service through your online scheduler, they’ll receive a timely email or text appointment reminder based on your preferences. More accountability for your clients, fewer no-shows as a result. If you’re wondering how much money you can save by reducing no-shows, let’s break down the math. Let’s say you’re a business coach who charges $150 per appointment. During the summer months, you have an average of 40 appointments per month. Now, imagine one client out of ten failing to keep their appointment. That’s $600 lost every month. And that’s a kind estimate, too. Given how glued people are to their smartphones these days, sending email and SMS reminders is the best way to remind your clients you’re expecting them. Doing so keeps your clients closer to your business and minimizes losses at the same time. It also makes you look like an enterprise-level business, even if you’re working solo. The best type of client is the kind that comes back for more, right? That’s why automated follow-ups are absolute must-haves for modern service businesses. Automated follow-ups are yet another game-changing feature that should come with your online scheduling software. As every business owner knows, the best time to sell to a client is right after they’ve had an appointment with you. Think about it. You’ve just had an awesome appointment with your client. They’re happy and you’re happy. Your positive impression on them is fresh in their memory and they’re excited about your stellar service. What better time to ask for a follow-up, right? Inviting clients to reschedule with you when their memory is fresh can have a substantial impact on your business’ revenue. 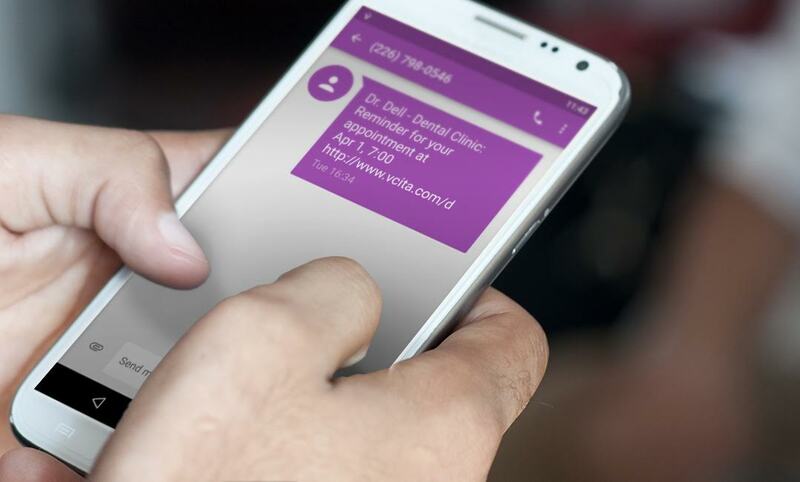 With vCita, you can easily create automated follow-up messages that thank your client for their latest meeting and suggest that you meet again soon. The best part? Your message displays a “Schedule Now” button that links directly to your online calendar, impossible for clients to miss. From keeping your calendar booked to ensuring that your current clients are constantly coming back to you, online scheduling has the potential to transform any service business. Luckily, getting started with online scheduling is easy. Does your business have a website? What about an Internet connection? Then you’re good to go. And even if you don’t have a website, we can work with you to set up your own scheduling hub to make sure that you score more appointments and business. Feel free to check out our product and plans by visiting our website. If you have any questions or need help customizing vCita’s online scheduling to work for you, you’re welcome to schedule a quick product demo with us by clicking this link. You can also call us directly at +1-800-286-9513, M-F 7am-4pm Pacific Time.